House Dressing, established in 1991, is a full service Interior Design Firm. 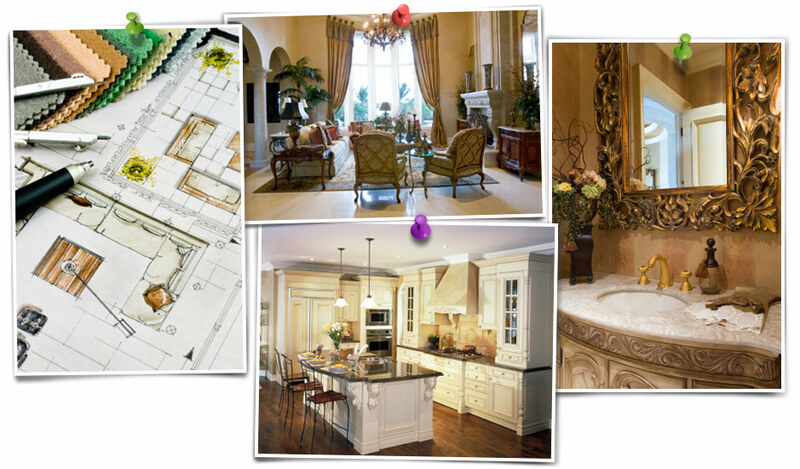 Shelly Preziosi, President and principle Designer, has been practicing Interior Design for over 18 years. She has appeared as a Guest Designer on FOX TV Philadelphia, was a featured designer on "Frugal Fix Up" Philadelphia, and has designed numerous show homes. Shelly's unique designs have also been featured in many magazines. After serving as Director of Interior Design for Bloomingdale's, Shelly established House Dressing, creating beautiful and happy homes for her clients. From the most classic, traditional or modern, from Zen to historical, or feng shui balance and spa serenity, Shelly's designs are a direct reflection of each and every client's uniquely personal needs, budget, and architecture. "The difference in my approach? It's personal... my designs are about creating a space from the heart that touches the core of my client. It's intuitively balancing the client's needs with the natural beauty of things, and of connecting us to our soul through living spaces that are warm, nurturing, and delightful. I love designing because there is sheer joy in knowing that I have been able to create a space that becomes a home which brings happiness and comfort to others." Shelly has been an Allied Member of the American Society of Interior Design (ASID) for over 15 years, is a certified Associate Kitchen and Bath Designer (AKBD), and is a member of National Kitchen and Bath Association (NKBA). A complete portfolio can be viewed at interiorsbyshellypreziosi.com. "Shelly is personable and a very talented designer who skillfully blends her design, color, and decorating recommendations with her clients' needs and ideas. She is attentive to project costs and timetable, and uses only the most professional service providers (painters, electricians, tile installers, etc). Friends and family have commented on the exceptional design / decorating in my home, and how much it fits my lifestyle and personality. Shelly's work in my home interior is so impressive, that I will be asking her to design my backyard pool/landscape. I am very confident in recommending Shelly for your interior and exterior design projects."